Prime Minister David Cameron’s new Health Minister is a Catholic who has gone on record to say the abortion rate is too high in Britain and that “something needs to be done about that”. 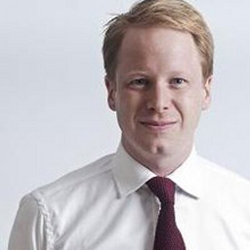 Ben Gummer, son of former Tory Cabinet Minister and Catholic convert John Selwyn Gummer, now Lord Deben, who served in Mrs Thatcher’s Cabinet, was appointed a junior Health Minister in the new Government. Speaking to The Guardian in 2008, the then-prospective MP said he would vote for a reduction in the time limit on abortion, though he qualified that by saying he would need to review the evidence first. “I am personally and principally opposed to abortion but I don’t think it would be responsible to try and ban it outright,” he said. Mr Gummer’s boss, Health Secretary Jeremy Hunt, said in 2012 that he personally favoured a move to halve the legal abortion limit from 24 weeks to 12.